Vegas bookmakers have set Penn State’s over/under win total count at 9.5 for the upcoming football season, released by Covers.com. The Nittany Lions vastly exceeded expectations in 2016 en route to a Big Ten title, and still managed to beat their 9.5 over/under win total in 2017 even if they didn’t repeat as conference champions. We’re still months away from the season opener against Appalachian State, but our staff took its shot at slamming the under or over on that projected win total. 10-2 is the new 7-5. The Nittany Lions shouldn’t have any issue reaching double digits in the win column for the third year in a row. Penn State draws a tough slate of conference opponents but thankfully only has one true road test: at Michigan. The schedule even includes an eighth home game at Heinz Field. As promising as the schedule looks in terms of home field advantage, Penn State will need a lot of luck to make it through an impossible stretch against the conference’s five best teams unscathed. I expect Penn State to go 3-2 in its games against Ohio State, Michigan State, Iowa, Michigan, and Wisconsin and win its other seven games. Get ready for another close-but-no-cigar season. As usual, Penn State starts out slow with its non-conference slate. Even under the lights at Heinz Field, the Nittany Lions should be able to go 4-0 out of the gates without too much sweat. October will be challenging, but this isn’t anything a team of former underdogs hasn’t seen before. There’s nothing like a Beaver Stadium White Out to take down Ohio State, and the Nittany Lions will show up with a vengeance against the Spartans. Even if Penn State drops a couple of tough losses to the likes of Michigan and Wisconsin leading into November, I just don’t think there’s any way this team ends below 9.5 wins with veteran Trace McSorley at the helm and an excellent recruiting class out for blood. I’m taking the under, but only by the slimmest of margins. Penn State will win nine games in the upcoming season because it will be a year of transition on both sides of the ball. On offense, losing Saquon Barkley, DaeSean Hamilton, and Mike Gesicki will be felt, especially in the passing game. The Miami Dolphins draft pick was one of Trace McSorley’s favorite targets, and the presence of a top-tier tight end like Gesicki will hurt the Nittany Lions’ passing attack. Meanwhile, the secondary will be almost completely different from last year’s veteran unit. John Reid and Amani Oruwariye are both experienced corners that should have strong seasons, but the real concern on defense will come at safety. Nick Scott is poised to start, but the competition for the other starting safety spot is filled with talented players that lack experience. 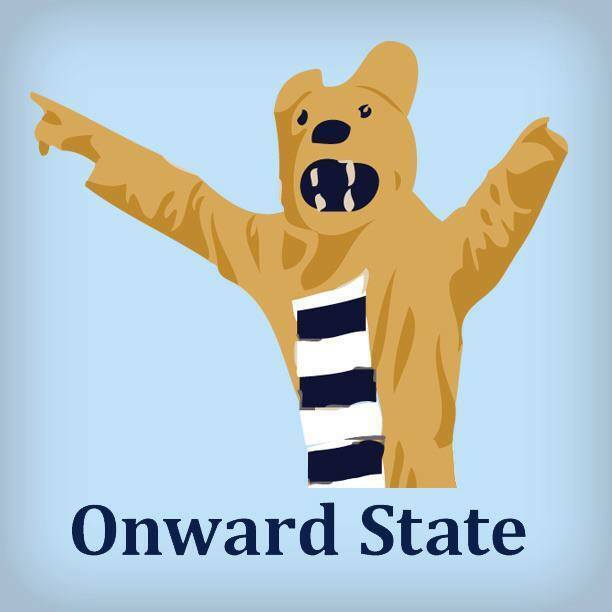 I’m slamming the over on the wins with Penn State finishing the regular season 11-1. Even though the Nittany Lions have lost their star running back in Saquon Barkley, I believe that Miles Sanders will step up this season and show us how good of a running back he truly is. Trace is going to ball out this year and will have help from Juwan Johnson and DeAndre Thompkins as his trusty receivers. Another thing to think about is having Micah Parsons on defense, and how much of a threat he will be to opposing teams. I believe that if he and a few others on defense step up this season, then the offense will have no problem producing touchdowns with a lot less pressure on them. Sure losing Joe Moorhead as the offensive coordinator is rough, but I’m positive his replacement Ricky Rahne will do just fine with the tools that he still has available to him. I have to take the over on this one, mostly because of home field advantage. Ohio State, Michigan State, Iowa, and Wisconsin are all at home and Beaver Stadium is a nightmare for opponents to play in — a perfect place to exact revenge on Ohio State and Michigan State, avoid the terrors of playing the Iowa Hawkeyes on the road, and expose the Wisconsin Badgers for the frauds they are. Trace McSorley and Co. will have road tests against Michigan and Pittsburgh, but if they can make it out with just a loss to either two, they’ll be in the hunt for the Big Ten title game and the College Football Playoff. Fingers crossed Appalachian State doesn’t decide to treat us like Michigan. Penn State lost a lot this offseason, especially on defense, and its upcoming schedule is just brutal. Grabbing a win at the Big House in November is a tough ask, as would be sweeping through a series of home games that include three potential top 10 opponents — Ohio State, Wisconsin, and Michigan State. You can also tack on the Nittany Lions’ usual annual loss to a team that they shouldn’t, albeit the past two years these losses have come in tough conditions. It’s difficult for any program, especially one in transition with a loaded schedule, to consistently put up 10-win seasons. Penn State’s schedule sets up about as nicely as it could have hoped for — not only in terms of playing its toughest opponents at home, but also in that the Nittany Lions don’t have any back-to-back road games. I see Penn State beating the Buckeyes but losing to either Michigan or Wisconsin, which would make the Big Ten East race extremely interesting. Penn State has never had three consecutive 11-win seasons, though, so that will obviously be a big hurdle to clear.